The giveaway prize was two drinks, two savouries and two desserts. They didn’t have any croissants left so I chose the cinnamon scroll and the chausson au pomme for our savouries. 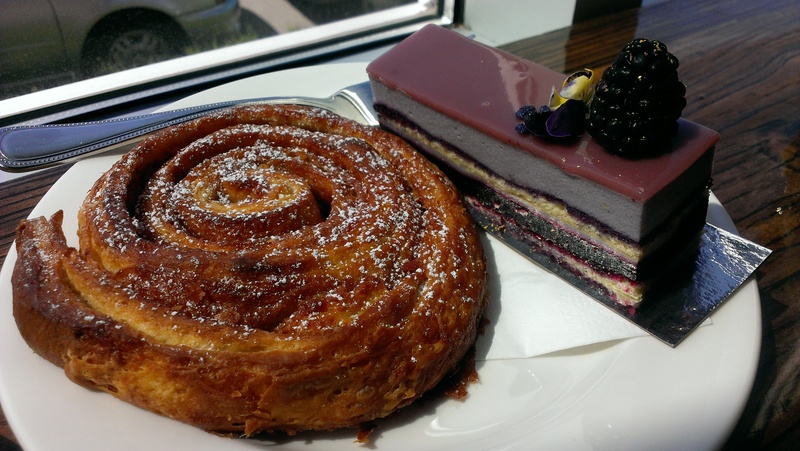 For dessert, we had the blackberry cassis and the apple tart. For drinks, we had an iced mocha and an iced hot chocolate (yes sounds ironic right). The cinnamon scroll was crunchy and flaky on the outside but the middle was softer. The cinnamon flavour was just right and it had the perfect amount of sweetness from the carmelized sugar on top. I think I would have enjoyed this more if it was warm. I love the way the blackberry cassis was presented. The colours are beautiful and you can see all the layers of the cake. I’m not quite sure what was in it but I could taste some lemon and lavender in it as well as the slight tartness from the blackberries. The apple tart was really good! I loved the vanilla creme they used to fill the tart and the apple layer on top was packed with flavour. The solid shortbread crust kept everything together nicely and rounded out the flavours. They also had a fake stem and leaf on top too so that was pretty cute. The edible gold foil on top made it extra chic! They didn’t have anymore of the yuzu lemon tart though or I would have ordered that instead. 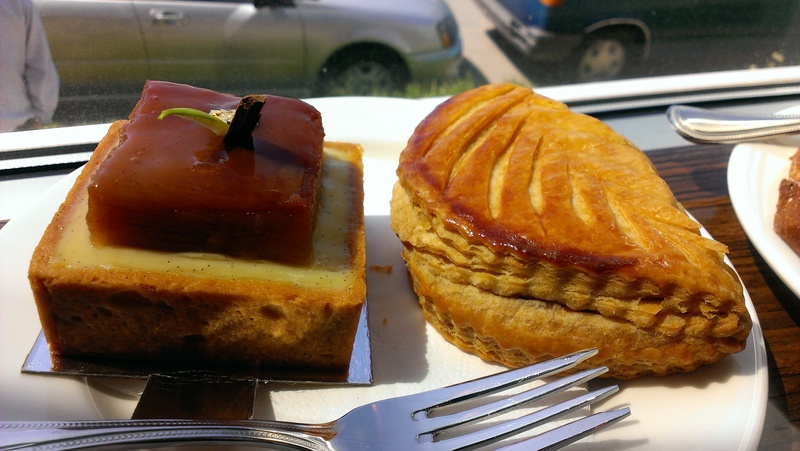 The chausson au pomme had a super flaky exterior. 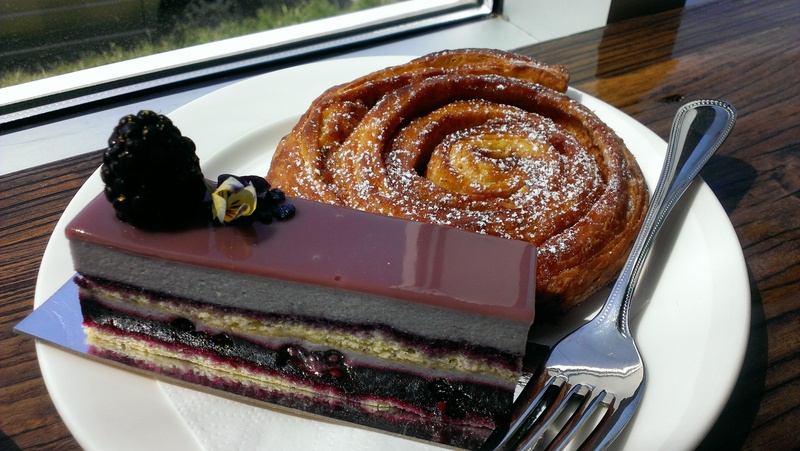 It was probably one of the flakiest pastries I’ve ever encountered. 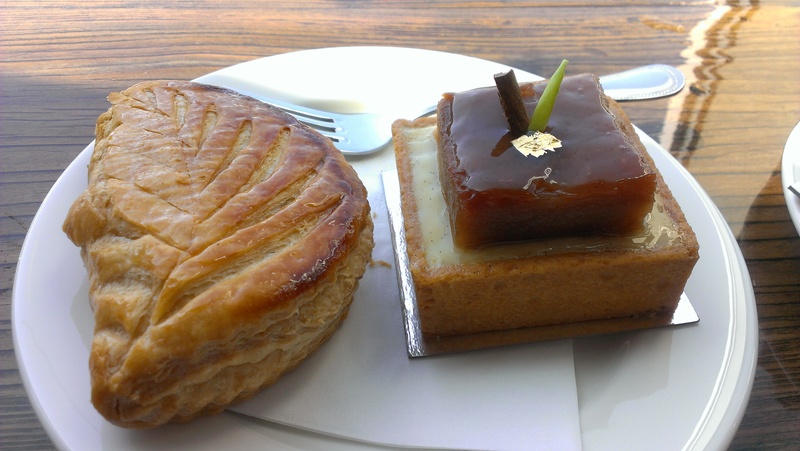 Enveloped inside the buttery golden pastry are carmelized apple slices but I found them to be more tart than I expected. Especially after the sweet apple tart I just had. I really need to try their croissants now! The iced mocha and iced hot chocolate looked essentially the same so I just took one picture. 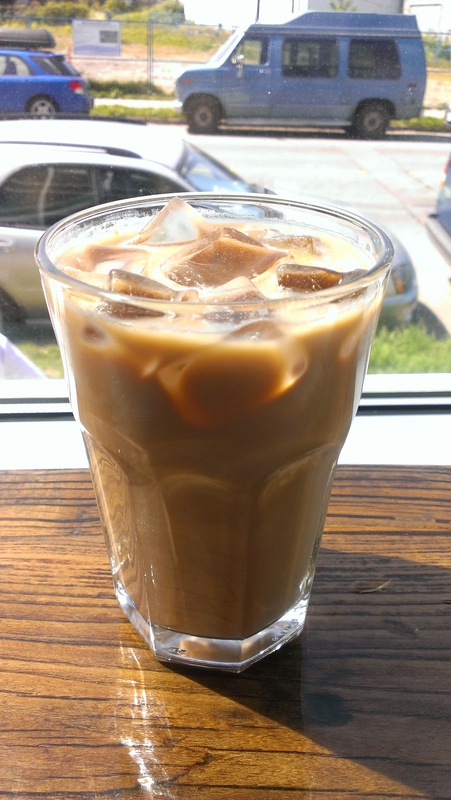 The iced mocha had a good balance between the espresso and mocha syrup so it was nice and refreshing on a hot day. The iced hot chocolate is the same thing but without the espresso. This entry was posted in Desserts, Food Reviews and tagged Beaucoup Bakery, desserts, follow me foodie, giveaway.